The luxury villa Adria is for rent in Dubrovnik, Croatia, only 200 m. from the beach and within easy walking distance of the historic centre of Dubrovnik. This magnificent villa sleeps 14 and features large terraces with swimming pool and stunning sea view. 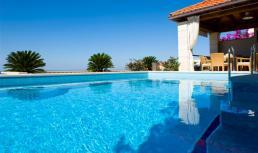 Villa Sunflower is for rent in Soline on the Mlini Riviera near Dubrovnik (Croatia). Gorgeous vacation villa with 3 bedrooms, 3 bathrooms, air conditioning, sauna, private pool and WiFi internet! 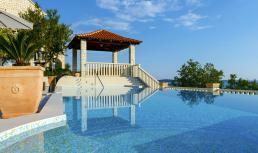 The luxury villa Bruno is for rent near Dubrovnik, only 400 m. from the beach. Splendid vacation villa with 4 bedrooms, 4 bathrooms, private pool, Jacuzzi, sauna, air conditioning and WiFi internet!